The Ronalds family vault is at St Lawrence's church in Brentford. It was used for a century. 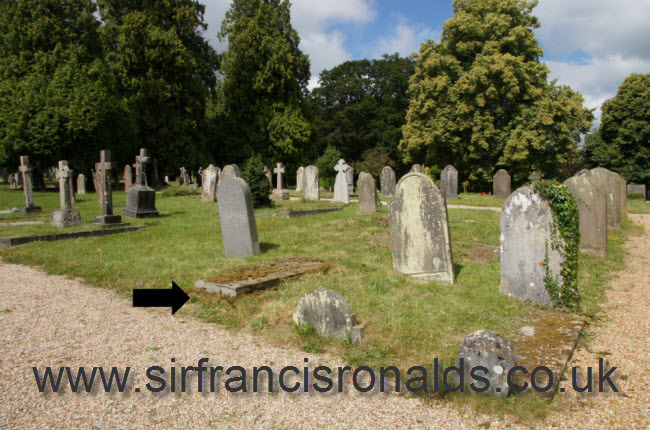 It is the final resting place of Sir Francis Ronalds' paternal grandparents ("Old Hugh" and his wife Mary), his parents (Francis and Jane), six of his aunts and uncles, his sister Charlotte and brother Nathaniel, and nine of his first cousins, as well as other family members. The church has been deconsecrated for many years and the graveyard is now in poor condition. 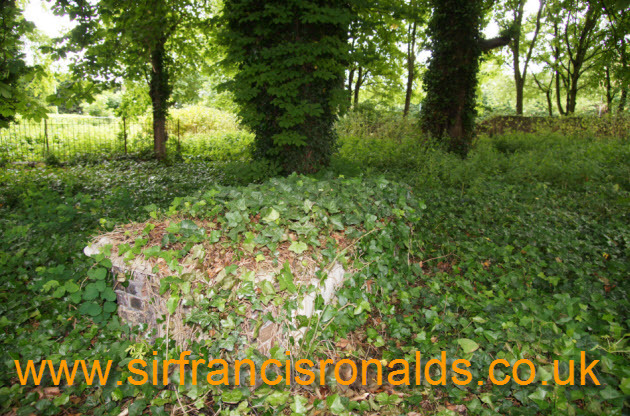 Sir Francis himself was buried in a simple grave with no headstone in the public cemetery at Battle in East Sussex. © 2016 Dr Beverley Frances Ronalds and Ian Ludford. All rights reserved. HTML Editor by CoffeeCup Software.